Tonight, we head to Chicago, where there's a new plan to make sure kids pursue a college degree or have another viable career path after high school. A high school on academic probation just five years ago, North-Grand's new focus on raising grades has transformed them into a top performing school, even before teacher Murphy decided to have fun with the idea. The seminar is part of a new citywide strategy to get students prepared for life after high school. It's called Learn, Plan, Succeed. High school degree doesn't cut it anymore. The idea came from Chicago's Mayor Rahm Emanuel. That will give to us the confidence that you have a plan for the future. You're not just dropping off the cliff on high school graduation day. It's a responsibility to the kids of the city of Chicago, yes. Their high school didn't really push them to excel to the next level. Here, like, it's a requirement. But Zayas has reasons beyond the district's expectations. Last year, his 19-year-old brother, who he says took the wrong path, was shot and killed. I think it's a moral imperative to be worried about what happens for our children after graduation. The old days of we have got you graduated out of high school are done. The other 40 percent, that's the group that we're most concerned about. What we're trying to do is ensure that the students who need it the most are the ones that are receiving the support. There's going to be people that say, listen, you just moved the goal line for what constitutes a diploma. A child has worked their 12 years, they should get this piece of paper without having to tell you what two more years looks like. I didn't move the goalposts. The economy did. Companies today are looking for somebody with a minimum of something post-high school. Critics of Chicago's plan question if cash-strapped schools will be able to provide the support and guidance a student needs to meet the new requirement. My main concerns are that we're not resourcing that plan. We need more counselors in our schools, and we need funds for that. Chicago Public Schools ranks 28th out of 30, on the very low end of counselor-to-student ratios. Principals have to allow counselors to actually do counseling work with kids. We can't be pulled to be counting tests all the time. We can't be pulled to do recess duty and lunch duty three hours a day. I don't think it's a situation where you need more counselors. I think we have to look at some of the duties that counselors have, and maybe relieve them of some of those. By integrating the community college system, we're ensuring an integration that kids do not fall between the gap between high school and graduation and whatever else they do in life. What are their credentials? Are they certified? School counselors hold master's degrees and licenses. Do they know our kids? We get to know our kids. At our age, we're still young, and still figuring out what we want to do with our life, so I think we should have more time to figure out where we want to go with our futures. What's the scenario where a student can't meet these requirements and doesn't get a diploma? That — I'm telling you that scenario won't happen. I'm not saying this just out of hope or aspiration. We intervene before it's too late. 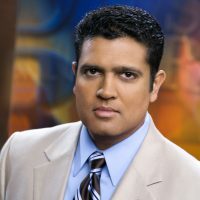 In Chicago, for the "PBS NewsHour," I'm Hari Sreenivasan.